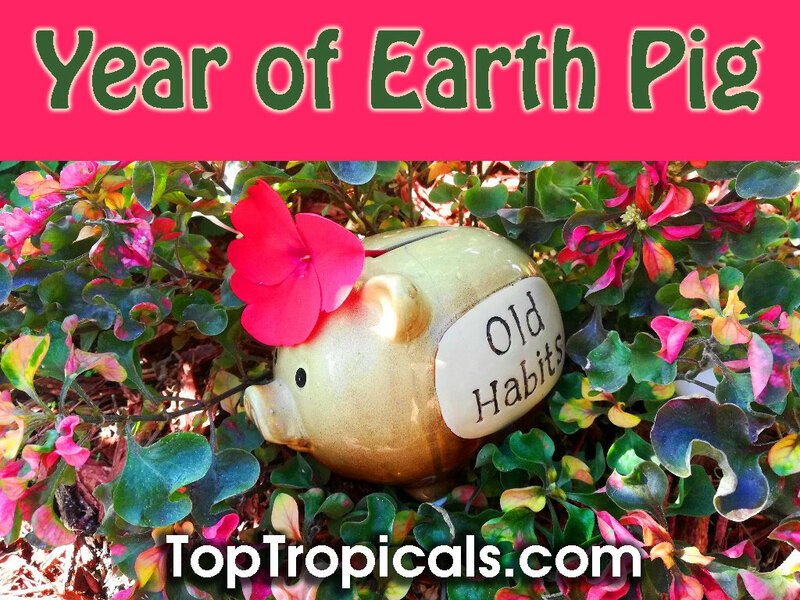 2019 is the Year of the Earth Pig, according to the Chinese Calendar, and it just started February 5! In 2019, the corresponding element is once again Earth, as it was in 2018. So what happens when you mix the Pig with the Earth Element? An Earth Pig year combines a realistic but happy-go-lucky sociable pig combined with the steady and sensible characteristics of Earth, it combines the relaxed attitude of the animal with a very "down-to-earth" realistic climate, don't try to push too hard, this is a time to take things in stride. For the Pig, it was definitely all about the journey and not the destination! Because of the Pig's willingness to always help others out, it tends to bring good things to everyone around him. The Pig in Chinese culture represents wealth and prosperity. 2019 is a good year for giving your garden a fresh start, and especially for establishing new fruit trees that will bring you the enjoyment of deliciousness and... always healthy good food on the table! 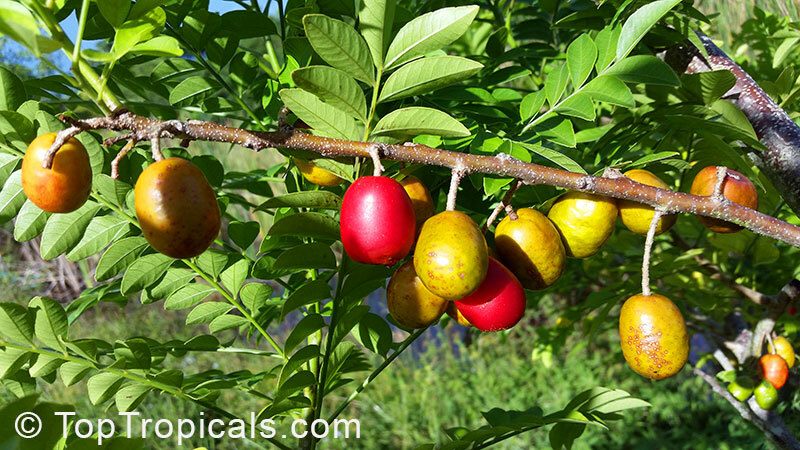 This year, to keep the Pig happy and helpful, every tropical gardener should get a Hog Plum - a fast-growing and easy to care rare fruit tree with delicious aromatic fruit. It will fruit for you this year! For lucky Zodiac plants, see Plant Horoscope Page.